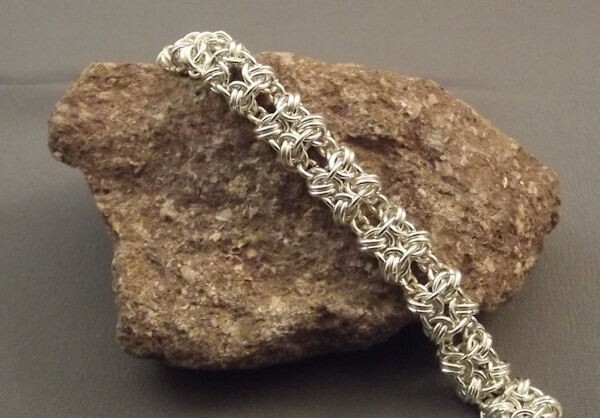 The Pillows in Maille Bracelet is a fascinating chainmaille project. It is very supple on the wrist and is comfortable to wear.This bracelet combines a classic chainmaille weave with an added twist. The kit includes the jump rings to make the project, but a clasp is not included. I am sure that you will enjoy making and wearing this beautiful piece of jewelry. It is an intermediate project.